HOW TO BOOK YOUR CLASSES? 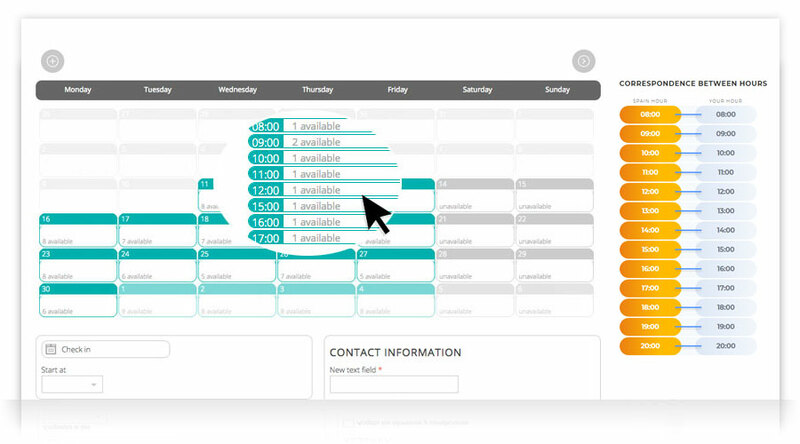 Before booking your classes, please place your order, purchasing the pack of classes that most interests you. If you have not yet made the payment, click on the BUY button of the option you want and follow the instructions. you have purchased, from the available dates on the schedule. From Monday to Friday from 8am to 8pm (Central European Time). If you want a specific timetable, get in touch with me by sending an email to contacto@aprendeconcarmen.es and we can talk about it. Classes last 55 minutes and start on the hour. Classes can be booked up to 24 hours in advance. If you need to cancel a class and change the day or time, let me know by sending an email to contacto@aprendeconcarmen.es up to 24 hours before the class is set to start. If you have booked a class and you have not connected 15 minutes after the scheduled start time, the class will be deemed cancelled. This missed class cannot be recovered. “EN MI CASA [AT MY HOME]”? 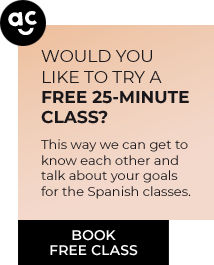 In addition to online classes, I can give you in-person classes at my home in the city of Salamanca. They can be one-on-one classes or those in small groups of two people.